With SWELL entering Day 3, I thought it might be wise to take a moment and provide some information to those investors who might be approaching the idea of adding a crypto-currency to their portfolio for the first time! 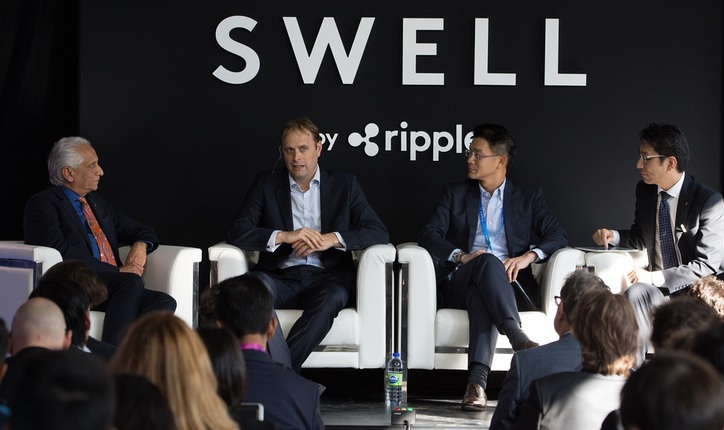 Bankers, traditional investors, and others that may have attended SWELL or even heard about XRP and Ripple through the grapevine at SIBOS might have been prompted to do some homework. Regardless of the decision by their employer to use Ripple technology, they may be interested in investing in XRP for their own investment portfolio. For their sake, let's start at the beginning! So You're Curious About Purchasing Some XRP? Well you are definitely not alone! The number of active XRP wallets broke 500,0001 recently; a benchmark that reflects widespread and growing interest in XRP as an investment. Those knowledgeable about Ripple and XRP are probably identifying some of their own favorite news items that didn’t make it in my above list, but my point is this: in addition to being a store of value like Bitcoin, XRP has a use case, and it is super-massive. The cross-border payments space has payment volume that is measured in the quadrillions14; and it uses outdated technology that is ripe for replacement. If you are already interested in purchasing XRP, I won’t spend any time talking about XRP’s utility as a bridge asset for exchanging value across border – you probably know about that already. Instead, let’s cut to the chase and talk about XRP and where you can get some. Where and how do I purchase XRP? Where should you purchase XRP? The official Ripple website stays generic about this, so they’re not going to give you much down-to-earth advice tailored to your own circumstances. But their official listing of some exchanges is worth a look: https://ripple.com/xrp/buy-xrp/ Keep in mind that Ripple’s listing is incomplete, as the actual number of worldwide exchanges that offer XRP has now climbed to 3315, not the subset of 17 that they list. Instead of providing you with my own personal list of preferred exchanges, I would instead advise you to tailor your choice based on the answers to some basic questions. Once these questions are answered, you’ll have a better idea what to look for before making a decision on where to buy. How would you rate your own technical prowess? Are you a long-term or short-term investor? How much XRP are you looking to purchase? Does the withdrawal limit for the exchange pose any issues for you? Are you looking for an exchange with strong secondary authentication? Do you prefer an exchange based in your own country? Are there any crypto trade restrictions based on where you live? Are you looking for direct fiat-to-XRP support, or are you okay with BTC-to-XRP trading? Is the trade volume of the exchange important to you? The answers to each of these questions impact which exchange might be better suited to your needs. Generally speaking, if somebody is technically astute, I feel more comfortable advising them to tailor their choices based on the full list; however, if they’re just looking for a good long-term investment in a new technology, then it’s good to “keep it simple” if possible. Continuing along these lines, if the person is a casual investor, I’d advise them to choose a reputable online exchange that has had no previous security issues where users have had their funds stolen. A good online exchange will then be able to guide them through the KYC (know your customer) process or other authentication procedures. Note that this survey only targeted users of XRPChat, and posters and readers there tend to be already knowledgeable about where to buy XRP. However, my goal was to arrive at a community consensus: The question I asked in the survey pertained to what they would recommend for a new XRP investor. For most causal or long-term investors, storing a small amount of XRP on an exchange should be an acceptable approach. But what about large-scale investors or investors who want to purchase a material amount of XRP compared to their total investment portfolio? Let’s continue our thought exercise of what we would recommend to a new user for a local wallet. If you are an individual looking for a wallet to locally manage your access to XRP, then there are multiple options. Note: Ripple doesn’t endorse any local wallet, and they’ve only partnered with BitGo, since their primary type of customer is banks and financial institutions, not retail investors. However, there have been indications that more wallet options might be in the works from BitGo and other Ripple partners. 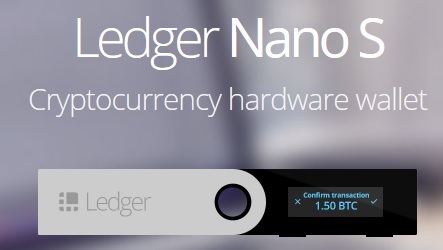 Stay tuned for more local wallet options in the near future. If you’re a new XRP owner, join the club! The trade volume of XRP was recently clocked at over one billion dollars per day17 during the SWELL conference, and many alt coin traders and investors have been doing research and liking what they find. I’m a long-term XRP investor, and I truly believe in the company and in XRP; however, I know very well that the XRP community is also comprised of short-term traders and even alt-coin day traders, so the resources for research will necessarily have a different focus. XRP Day traders: Stick to Discord and Twitter. You’re going to be frustrated otherwise. Here is a good English-speaking XRP Discord group: Discord Invitation Please note that Discord operates by invitation only, so you may have to request a new one if this one expires or is otherwise disabled. If this invitation has expired, please navigate to XRPChat and send me a personal message; I can connect you with the owner of this Discord for an invitation. Other than Discord, paying attention to a Twitter feed will sometimes yield high-velocity information that you might be able to use. A useful twitter feed for day traders is something of an art, but if you’re new to XRP, I can tell you that my basic recommendation is to follow the official company tweets: https://twitter.com/Ripple This is the twitter account that announced the countdown to the SWELL conference that resulted in a surge of XRP volume. I can’t say enough good things about XRPChat. When I first started Bitcoin trading back in 2013, I began on (what still is) the largest Bitcoin forum, Bitcointalk. While Bitcointalk serves to efficiently route and moderate conversations in a standardized manner, it doesn’t allow for many nice additions like custom avatars (at least not for “newbies”), clubs, emotive reactions, or an intuitive feed and side navigation. XRPChat has all those missing items and more, and is ideally suited to the member who likes to do research and converse with others in a methodical fashion. I highly recommend it for any trader that needs to understand the value of XRP’s use cases. XRP Long Term Investors: XRPChat and Ripple Collateral. XRPChat is ideal for in-depth research and discussions. You’ll find a treasure trove of resources on XRPChat that are usually very well-sourced. They will lead you to yet more information for deep comparative analysis. All Ripple employees tend to be leaders in their field, and current (and former) Ripple employees frequent XRPChat to discuss projects and industry trends. The conversations are well-moderated. Sometimes investors are provided opportunities to pose questions to Ripple employees via conversations on the forum that will help them make investment decisions. In addition to XRPChat, long-term investors would do well to heavily research existing Ripple collateral to learn about XRP, the XRP Ledger, and ILP. This material is very well-sourced, and can lead long-term investors to valuable insights and information. 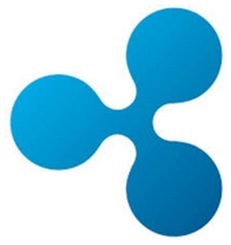 Ripple has methodically built a well-organized collection of tools for helping banks and financial institutions connect and use blockchain technology. ILP and the XRP Ledger exist because of the direct efforts of the company, and XRP is the industry standard for value storage and transfer; it is the first crypto-currency to be used by banks to transfer value, and will continue to build momentum as banks forge ahead to realize the cost savings from Ripple technology. Although Ripple is a private company, and we cannot purchase stock, ordinary investors can easily purchase any amount of XRP they wish to add to their investment portfolio. In this way, we can participate in the imminent world-wide adoption of Ripple technology. The standard recommendations for new investors are easily accessed with a minimum of effort, and it’s easy to participate in the growth and adoption of the most promising digital asset and crypto-currency; XRP.